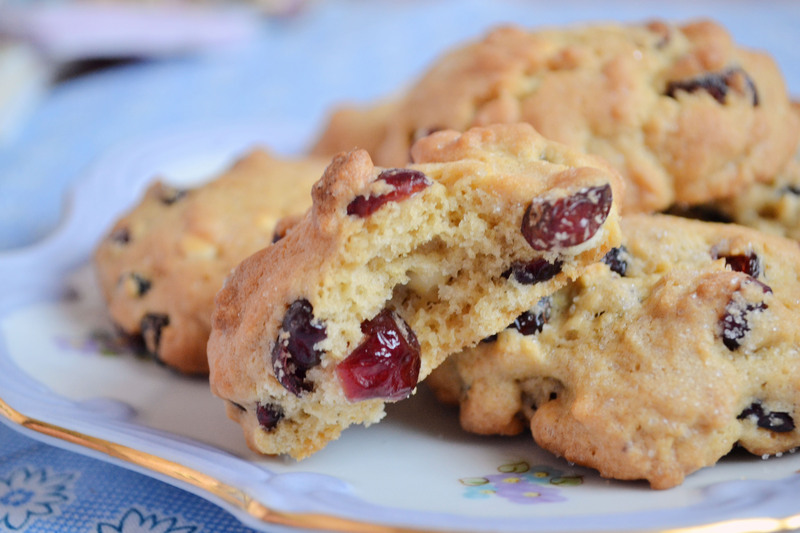 I’m pretty sure one of the first things I baked as a kid was rock cakes oh how I loved the experience. 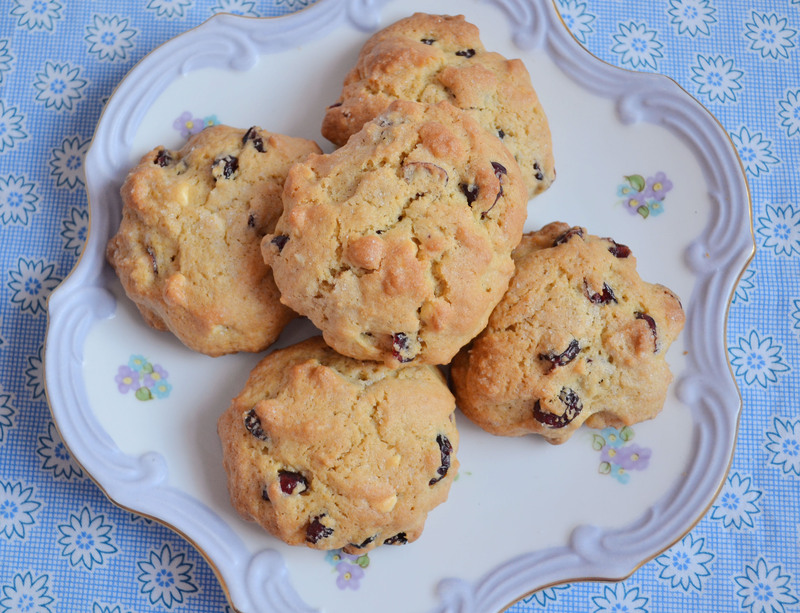 The great thing with rock cakes are they are so quick and simple to make, perfect for when you fancy something home-baked but don’t want to spend a long time in the kitchen. They are also perfect to get the kids involved in some baking. 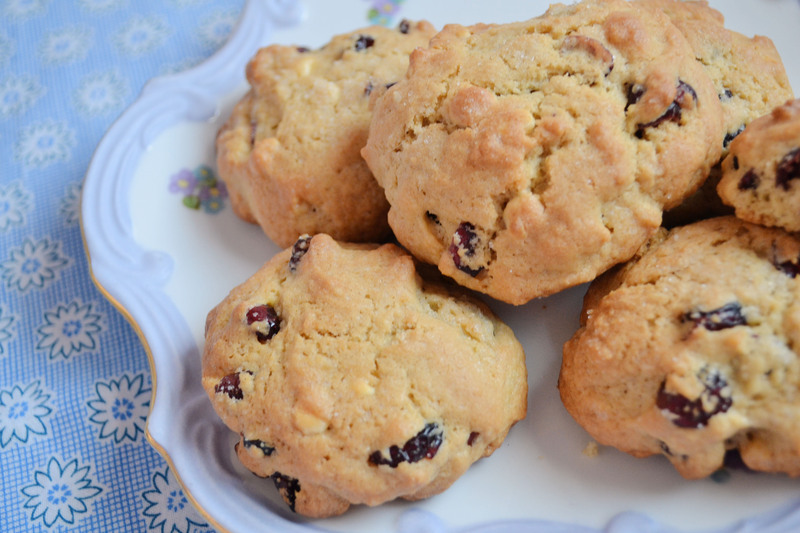 These were really tasty, the dried cranberries came alive in the oven and were so juicy and fresh tasting, I added some white chocolate chips too for a little bit of naughtiness finally a hint of mixed spice really brings this lovelies together. Don’t worry if you don’t have any dried cranberries to hand you can substitute for anything you like be creative! :) These cakes will hold their shape while baking so allow for that when your dolloping the mixture onto the trays, the first batch I made I forgot about that and they were tiny, this batch I used about a tablespoon and they turned out just right. *Bake in the oven for 18-20 minutes or until golden. *Leave to cool on a wire rack before serving with a nice cuppa.